From Inly’s world language programs to after school offerings; cultural curriculum to the school-wide focus on character education; from extension opportunities for students to professional development offerings for faculty, there are always many examples of multicultural education in action at Inly. Here are a few of our most recent school-wide happenings, discussed through the lens of diversity and multicultural education. As always, our Assembly offerings this fall have broadened the worldviews of our students. Toby Forrest spoke with the students on October 2nd about life in a wheelchair. His messages that “being different makes a difference” and “playing safe is fun” were impressive and interesting, and his easy-going nature and excellent storytelling abilities made him a joy for our students to hear from. Ventura Fabian is a craftsman from Oaxaca, Mexico who is a part of a strong family history of master wood carvers. He brought his work (including a fun stop-motion animation video of his dancing wood-carved chickens) and story to us on October 30th. On October 21st, we welcomed two new members to the Middle School community with the arrival of Guatemalan exchange students Juan Di (staying with the de Murias family) and Abby (staying with the Snyder family). The students are here during their “summer” break to live with American host families and study in an American school, and they will be with us up until the start of our Winter Break. This is an excellent extension of Inly’s mission to create global citizens, as the cultural learning for our students during this exchange is immense (plus, of course, the authentic Spanish that can be practiced with two more native Spanish speakers in the community is boundless). 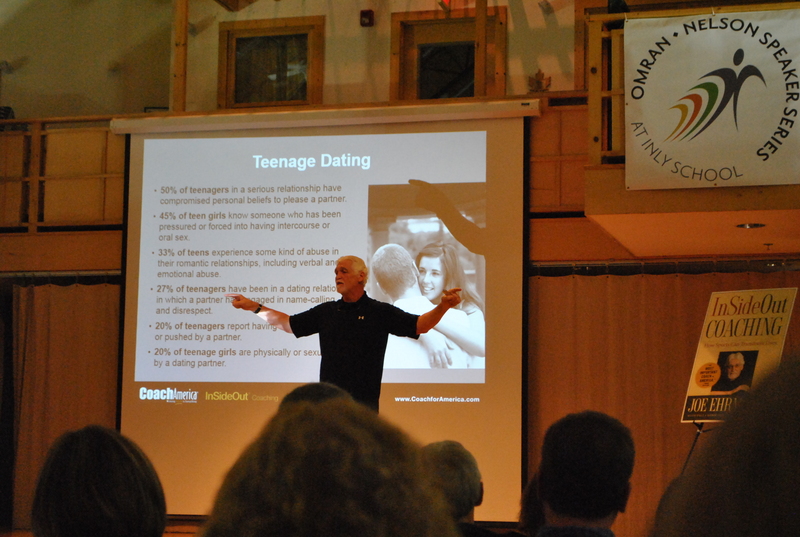 We had our first Omran-Nelson Speaker Series event of the year on October 23rd when Joe Ehrmann came to campus, opening a dialogue about masculinity and femininity among the faculty and parent body. He made many great points about the culture of sports in our society and how adults can be powerful figures for social good and character education in young folks’ lives.